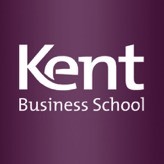 Kent Business School's Master's in Management programmes are truly international with a rich and diverse mix of academic staff and students who will bring a refreshing approach to worldwide business issues. Accredited by the Chartered Institute of Marketing the Master's in Management suite combines a demanding core of general management disciplines with the opportunity to pursue areas of personal interest through elective modules and a set of reports. Kent offer an inspiring and challenging student experience that prepares students for the future. 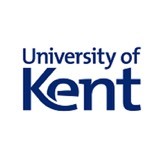 Kent provides a wealth of European and international opportunities for study, work and travel, a stimulating and effective learning community that focuses on the individual and excellent research-led teaching. There is a strong emphasis on graduate employability and skills acquisition and we offer a range of extra-curricular activities, support and services. Our campuses and centres provide stunning locations for study and offer first-class academic and leisure facilities. 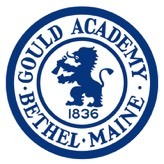 Gould Academy is a small, coed college preparatory school, located at the eastern edge of the White Mountains in Bethel, Maine. Gould offers a challenging core curriculum that prepares students for University and beyond. They are committed to embracing and engaging the tools required for success in a world that is increasingly reliant on ideas, analysis, and innovation. They offer a unique breadth of programming for a school of 250, and they challenge there students to try new things where they often discover their passions. They believe that where there is risk there is reward, and they provide layers of support to help guide there students down their respective paths. 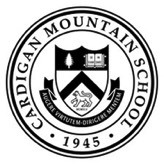 Cardigan Mountain School is a junior boarding school for boys in grades six through nine. They emphasize solid academic preparation, respect and responsibility, healthy activity, and an excellent work ethic. There 5:1 student-teacher ratio, competitive athletics program, creative arts offerings, and abundance of extracurricular activities deliver the foundation boys need to both succeed and enjoy the ride. 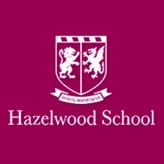 Hazelwood School is an independent coeducational school with a long history of inspiring young people to flourish, dating back to its foundation in 1890. Set amongst 25 acres of glorious woodlands on the Surrey Kent border the school is vibrant and thriving, valuing the traditions of the past and embracing the best of modern education. The school motto is In Domino Confido Vestigia Nulla Retrorsum. True to there word, they are a forward looking school, using there past glories to fuel future success.